Hannah Lohan invited us to produce bespoke roman blinds and studded headboards for the Fish Hotel in Broadway. 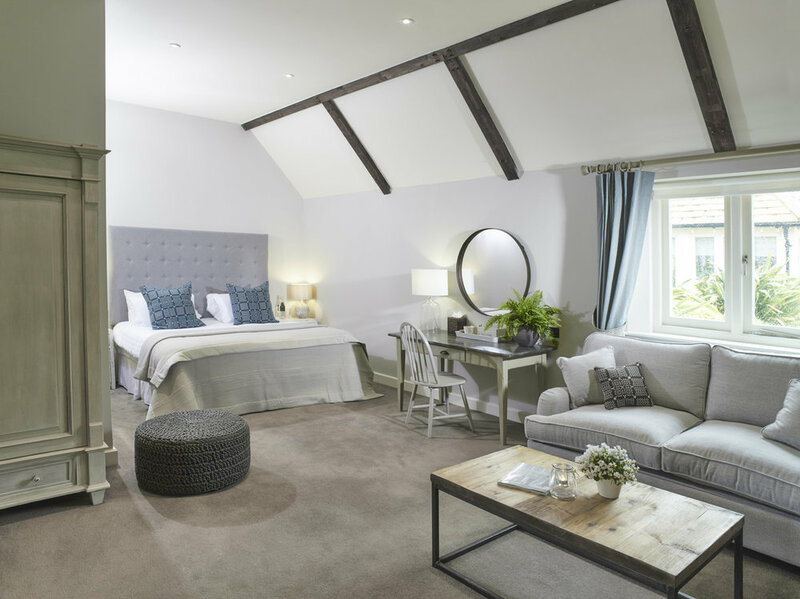 Nestled in the Cotswolds, we were delighted to assist with the refurbishing of this beautiful hotel. The design was inspired by its rural surroundings, adding a country style to the contemporary feel. We were also appointed to create the cartridge pleat curtains and decorative rope tiebacks in the suites. More recently, we created the soft furnishings and window treatments for the Shepherds Huts and Treehouses. These unique forms of accommodation were designed to provide their guests with the experience of a luxury hotel with a rustic twist. We produced wave head curtains and Roman blinds, all of which were blackout lined. We also installed roller blinds in the bathrooms. As well as this, we created the back and seat cushions for the bespoke L-shaped sofa, which were made with a variety of Linwood fabrics. 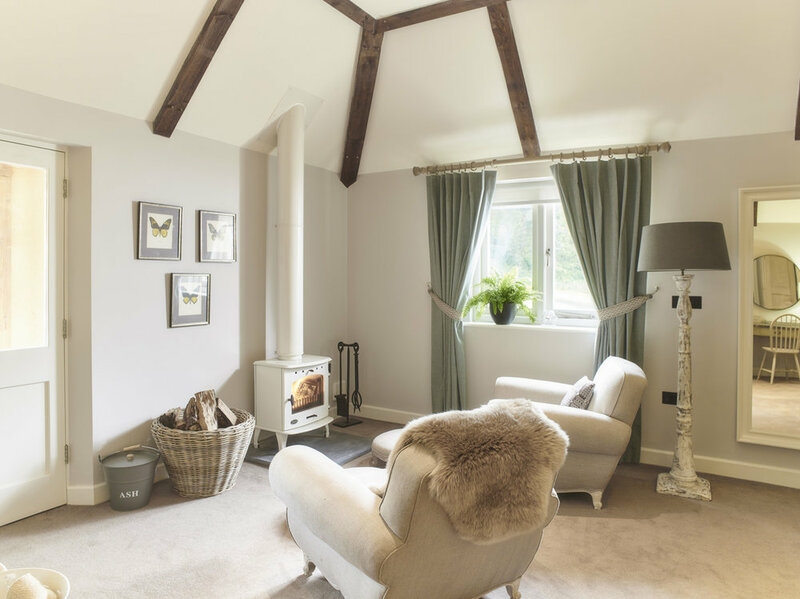 The furniture was designed to fit the small space of the rooms in these cozy countryside retreats, combining a modern design with a rustic atmosphere.